I have a need for a FAST linear actuator of which I may control position and speed reliably. I have already been looking into pnuematics, however it does not seem that this will fit my needs (I am open to suggestions though). It seems that I may be able to make a DIY linear if you will, however I wanted to ask the forums for a sanity/experience check. Below is a rough drawing of what I was thinking to create. I will be controlling this with an off-the-shelf ESC. I want to get feedback for this idea and anything that experience has shown may not work. This will be my first stab at this sort of project, so while doable it does seem like it can get big quick. I am worried that I might be attempting to reinvent the wheel here, so what I was hoping to get is feedback on this idea or an alternative. Your approach is feasible, but your drive will be larger than it needs to be and inefficient. You don't need a heavy 600 Kg-f ballscrew and nut to push a one-pound load. Remember that you must accelerate the mass and inertia up to your speed every time you move and brake to stop it. Since your ballscrew is about 11 inches and you want 16 in/sec, you will have to work very hard to achieve this speed and just as hard to stop it. In addition, to provide the required torque, you will need a large motor which will have its own inertia, and almost all of the energy you put into it will become heat from the braking you have to do to stop it. 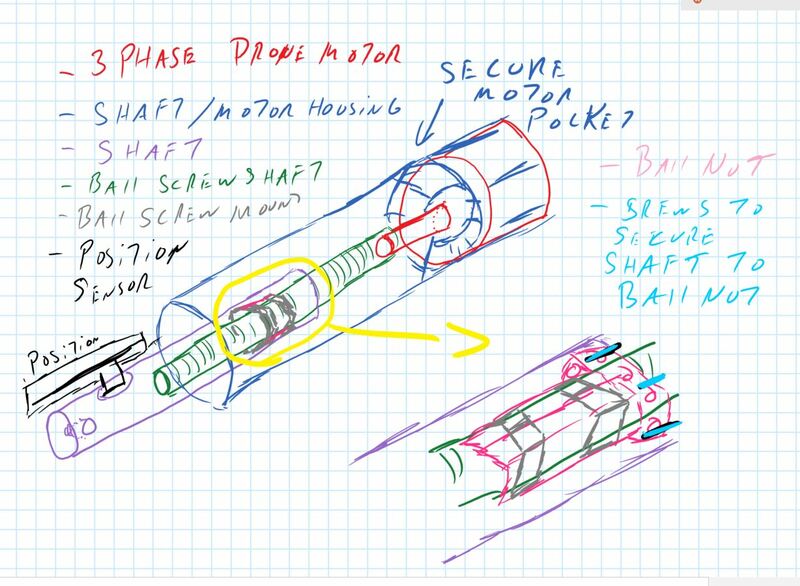 Go for low mass everywhere - check out coreless or frameless motors and lightweight (plastic?) ballscrews and nuts or a belt drive using a plastic belt. If the object you are pushing has any mass, this may not be feasible and you will be stuck with a high power system. Good luck! Not the answer you're looking for? Browse other questions tagged motor three-phase linear or ask your own question. Weak and Cheap Linear Actuator?